EXPERIENCE THE ULTIMATE FIREWORKS ENCOUNTER ON BOARD A ‘PIRATE’ SHIP! Celebrate Singapore’s 52nd National Day with a bang! 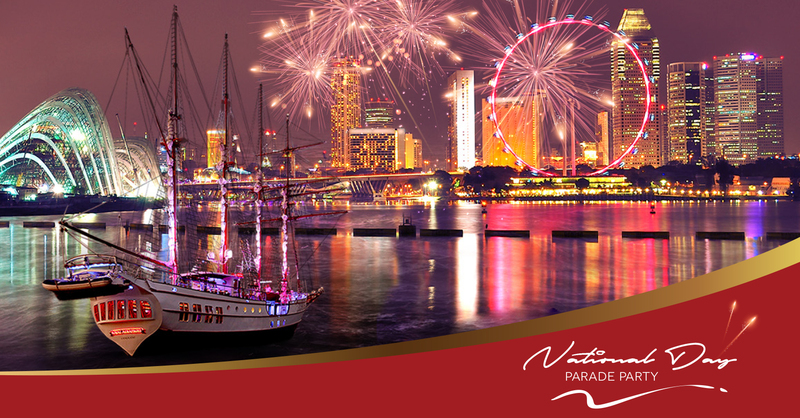 Be the first to enjoy an exclusive experience of viewing the spectacular National Day fireworks from onboard Singapore’s first and only traditional sailing ship, the Royal Albatross. Decked out in its full splendour, this elegant 4-mast 22-sail super yacht looks and operates like a pirate ship from a bygone era and is a unique stage to participate in the National Day celebrations. You will be setting sail from Resorts World Sentosa in style, right into the heart of the harbour and action. Enjoy an especially themed butler pass buffet amidst the mesmerizing backdrop of the Singapore cityscape. Immerse yourself in music, entertainment and much more! Strictly limited tickets available so hurry and book a place today! Tickets are emailed after purchase and are valid for 6 months. Select your sailing date after the tickets are issued. Behind SEA Aquarium and adjacent to Adventure Cove Waterpark at Resorts World Sentosa Singapore. Click HERE to view the map.